So, I went to the dentist this week, and there was a great display on their waiting room coffee table! It showed various common sodas and in front of it in a beaker was the actual amount of sugar in the drink. They had soda, vitamin water, gatorade, etc. Great visual. And so I’m taking that a step further and explaining why YOU SHOULDN’T DRINK DIET SODA EITHER. 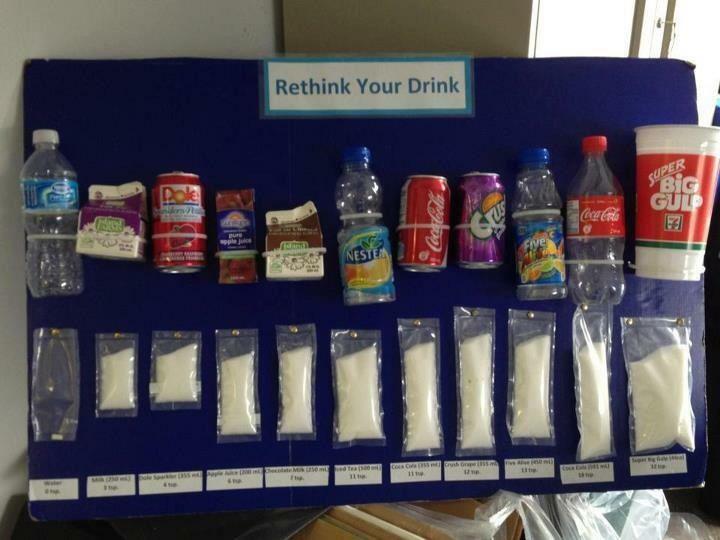 Sugar content in common drinks. At left, water = 0. A ” Super Big Gulp” has 32 tsp. of sugar and a total of 512 calories! a bottle of soda pop in the 50’s was 6.5 oz. Today 12 oz and 20 oz are common. a 64 oz. “Big Cup” has more than FIVE CANS of soda in it. Acid in pop and diet pop attacks the enamel on your teeth. The “attack” lasts 20 min. after one sip of soda. Ongoing attacks weaken your tooth enamel. 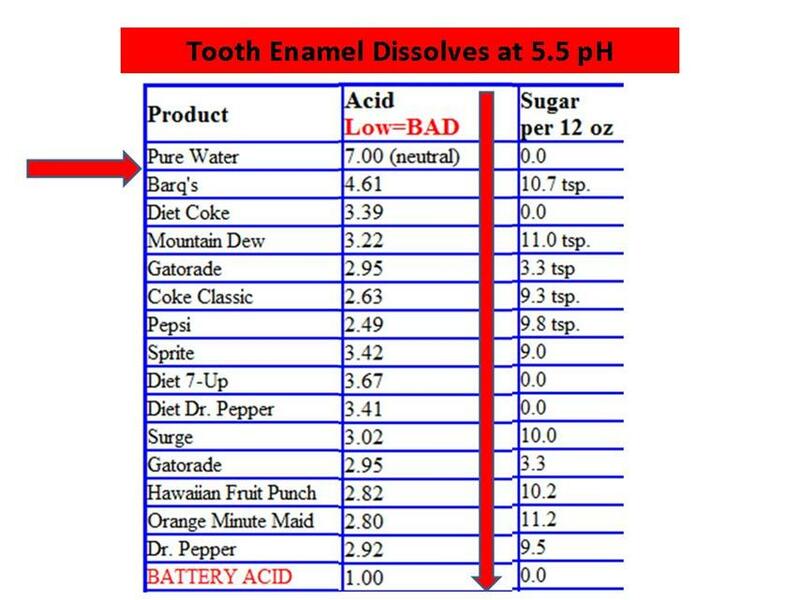 And if your gum line has receded, acid does more damage below the gum line than above it. If you remove all processed sugar from your diet for 3 weeks, you’ll realize that an apple tastes sweet. And the stuff you’ve been eating tastes too sweet. You can re-train your taste buds to require and like less sugar. Getting rid of sports drinks and soda is a good first step. So, my advice here is easy: drink water, unsweetened tea or small amounts of coffee. That’s it. Your teeth and the scale will thank you. Unsweetened tea is my favorite!! Next Post30 Things to Stop Doing… to yourself.